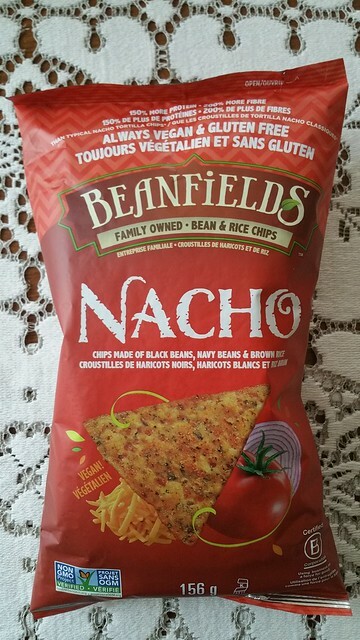 Spotted some intriguing vegan, gluten free "nachos" made from beans and rice at Urban Fare--Beanfields Nacho Bean and Rice Chips--and decided to give them a try. 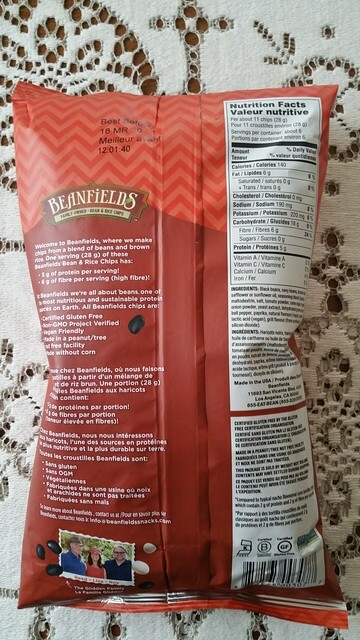 My mom is into chips (crisps) so now and again I try to get her something interesting because otherwise she'd just buy whatever is safe and familiar from Superstore. Good firm crispiness. 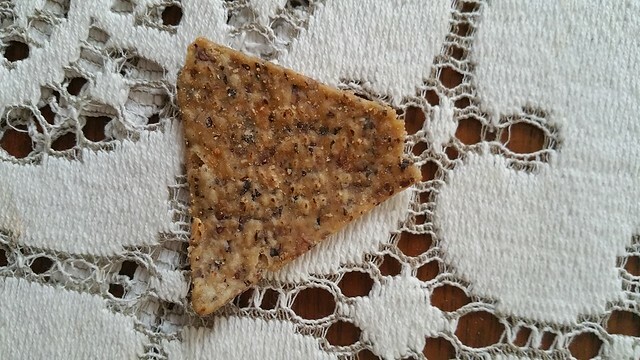 Taste is bean-like but not so odd that you focus too much on it. Salty enough that you are reminded of basically "normal" nachos. Overall, a pricey snack unless you are vegan and/or celiac, which limits your choices and sometimes beggars can't be choosers unfortunately. What was most surprising, however, was the colour. The packaging clearly indicated a yellow-ish nacho-like colour. 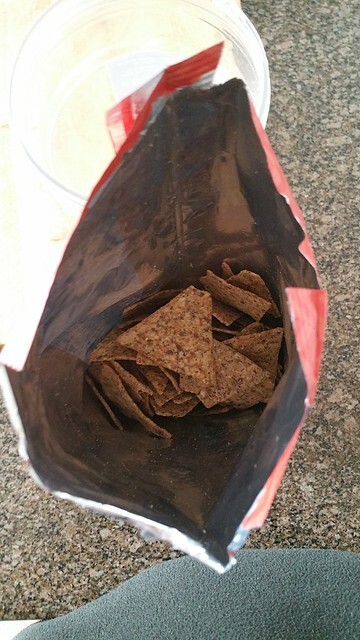 The contents, however, were... not. No way these were gonna pass as regular nachos. Depending on the lighting they looked anywhere from brown to grey, and the black didn't help any. The lighting in the pictures from my smartphone actually make them out to be lighter in colour than they were to the naked eye. Once again, TASTE is good. But ad copy is misleading.